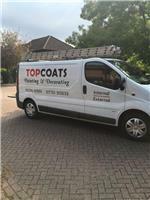 T S Martin - Top Coats - Painter/Decorator based in Frimley, Surrey. All aspects of painting and decorating from Domestic to commercial Exterior and Interior, I have been in the trade for 19 years. Offering a clean and tidy professional finish with all work carried out.